A visitor who arrives without prior knowledge will surely be surprised by the Old Quarter of Marbella, as it is not common for a city that is linked by choice to the modern world and large scale tourism to have managed to preserve the imprint of the past in an equal or greater degree than those localities whose fame is based on the historic and artistic legacies that they have inherited. The street plan of this part of the city preserves the irregular layout that is characteristic of the Arabic era, although some of its narrow streets open onto plazas designed immediately after the Christian Conquest. Of its ancient heritage special note should be taken of the Alcazaba or the Castle, in whose interior the original Arabic city was concentrated. Los Naranjos Plaza (Plaza of the Orange Trees) is the result of the urban reorganisation carried by the conquerors. The Ayuntamiento (City Hall) stands on this beautiful plaza. It was built in the sixteenth century and enlarged in the eighteenth. Even older than the Ayuntamiento is the Casa del Corregidor (House of the Magistrate), adjoining the Capilla de Santiago Apóstol (Chapel of Saint James the Apostle), both of which were built in the sixteenth century. The attraction of Los Naranjos Plaza, however, does not lie exclusively in the aforementioned noble buildings but also in the way it continues in a sense to be the nerve centre of the old city. 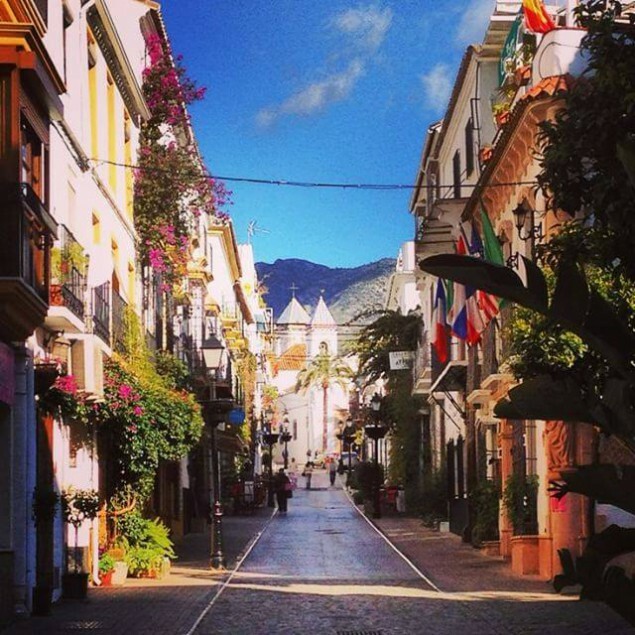 Numerous establishments of all types confer upon this corner of Marbella a distinctive atmosphere, and its broad and well-planned terraces are always filled with tourists who generally choose this place for a short rest after their tour of the historical district. The former Hospital Bazán (sixteenth century) today houses the Museo del Grabado Español (Museum of Spanish Engraving), considered the best of its type in Spain. Not very far away from this complex of monuments stands La Encarnación Church, a temple of huge dimensions whose construction dates back to the seventeenth century. Despite the historical and artistic value of these buildings, however, the Old Quarter of Marbella is above all a refuge of enchantment and tranquillity where the nobility of its buildings mixes with charming establishments and bustling terraces, all in a context of cosmopolitanism and tradition that blend with the naturalness that comes from having always coexisted.